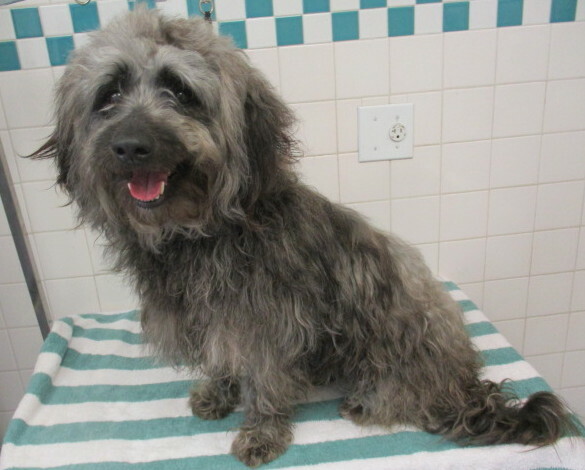 3 years Salt and pepper Puli/Terrier mix If you love comedy, then Godfrey is the dog for you. While he may not be a professional comedian, he will make you laugh just the same. This comical boy is immediately engaging. Absolutely no one is a stranger to him. He loves to snuggle close and does not hesitate to ask that you keep petting him. 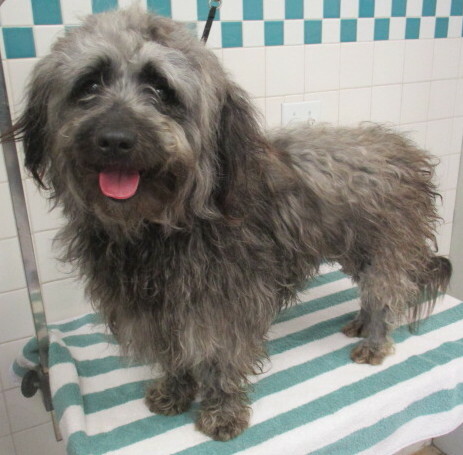 ...but, then, you won’t mind continuing to run your hands through his luxuriously soft coat... Godfrey weighs 25 pounds and is neutered, microchipped, and current on all vaccines. 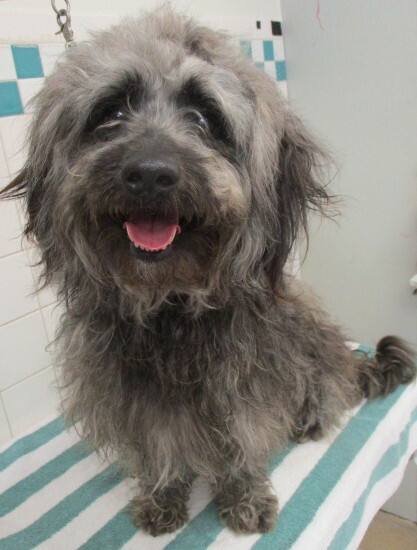 So, if you are looking for a lighthearted, easy-going companion with whom to share your laughter, Godfrey can’t wait to go home with you!